Issue XVI Vol. 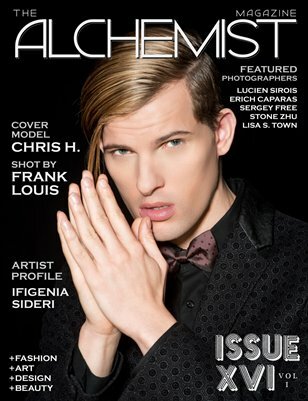 I of The Alchemist Magazine features model Chris H on the cover photographed by Frank Louis. The issue also features photography editorials by: Lucien Sirois, Erich Caparas, Sergey Free, Stone Zhu and Lisa S. Town. Featured Artist: Ifigenia Sideri.